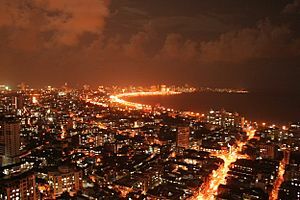 Mumbai (previously known as Bombay until 1996) is a natural harbor on the west coast of India, and is the capital city of Maharashtra state. It is India's largest city, and one of the world's most populous cities. It is the financial capital of India. The city is the second most-populous in the world. It has approximately 14 million people. Along with the neighboring cities of Navi Mumbai and Thane, it forms the world's 4th largest urban agglomeration. They have around 19 million people. The seven islands that form Bombay were home to fishing colonies. The islands were ruled by successive kingdoms and indigenous empires before Portuguese settlers took it. Then, it went to the British East India Company. During the mid-18th century, Bombay became a major trading town. It became a strongplace for the Indian independence movement during the early 20th century. 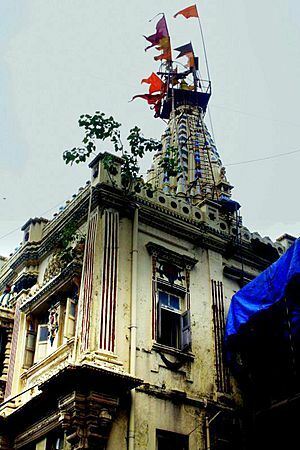 When India became independent in 1947, the city was incorporated into Bombay State. In 1960, following the Samyukta Maharashtra movement, a new state of Maharashtra was created with Bombay as the capital. It was renamed Mumbai in 1996. Mumbai generates 5% of India's GDP. It accounts for 25% of industrial output, 40% of sea trade, and 70% of capital transactions to India's economy. 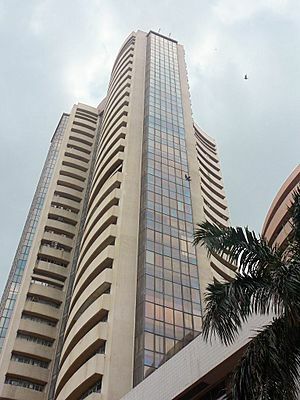 The Reserve Bank of India, the Bombay Stock Exchange, the National Stock Exchange of India and the many Indian companies and multinational corporations are in the city. It also has the Hindi film and television industry, known as Bollywood. 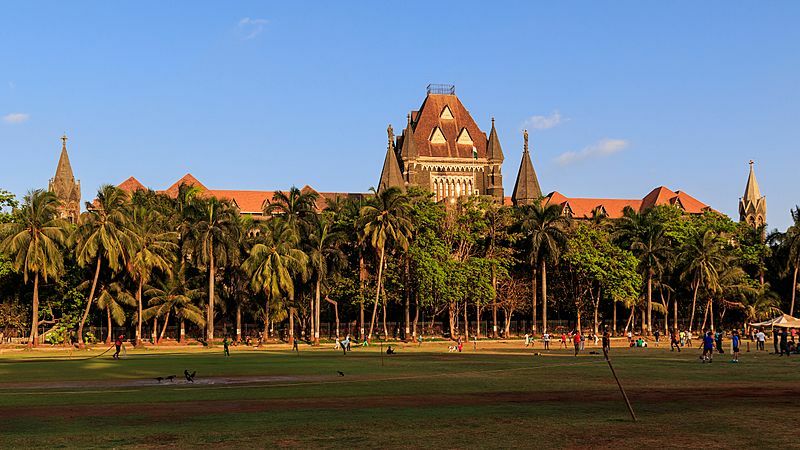 Mumbai consists of two distinct regions: Mumbai City district and Mumbai Suburban district, which form two separate revenue districts of Maharashtra. The city district region is also commonly referred to as the Island City or South Mumbai. The Mumbai Metropolitan Region which includes portions of Thane, Palghar and Raigad districts in addition to Greater Mumbai, covers an area of 4,355 km2 (1681.5 sq mi). Mumbai lies at the mouth of the Ulhas River on the western coast of India, in the coastal region known as the Konkan. 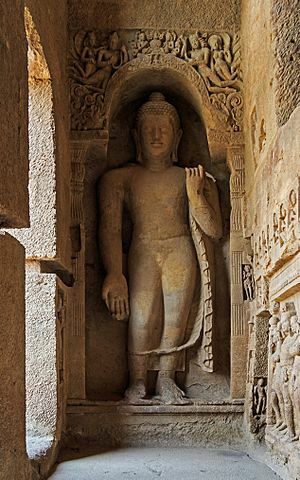 It sits on Salsette Island (Sashti Island), which it partially shares with the Thane district. 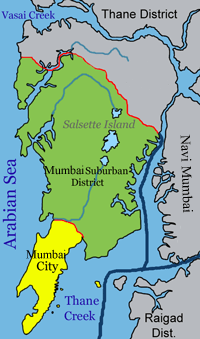 Mumbai is bounded by the Arabian Sea to the west. Apart from the Bhatsa Dam, there are six major lakes that supply water to the city: Vihar, Lower Vaitarna, Upper Vaitarna, Tulsi, Tansa and Powai. Tulsi Lake and Vihar Lake are located in Borivili National Park, within the city's limits. The supply from Powai lake, also within the city limits, is used only for agricultural and industrial purposes. Three small rivers, the Dahisar River, Poinsar (or Poisar) and Ohiwara (or Oshiwara) originate within the park, while the polluted Mithi River originates from Tulsi Lake and gathers water overflowing from Vihar and Powai Lakes. 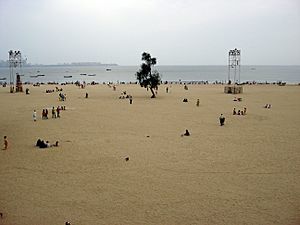 The coastline of the city is indented with numerous creeks and bays, stretching from the Thane creek on the eastern to Madh Marve on the western front. The eastern coast of Salsette Island is covered with large mangrove swamps, rich in biodiversity, while the western coast is mostly sandy and rocky. Between June and September, the south west monsoon rains lash the city. Pre-monsoon showers are received in May. Occasionally, north-east monsoon showers occur in October and November. Air pollution is a major issue in Mumbai. 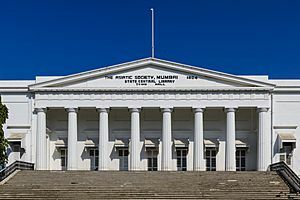 Mumbai is the birthplace of Indian cinema—Dadasaheb Phalke laid the foundations with silent movies followed by Marathi talkies—and the oldest film broadcast took place in the early 20th century. Mumbai also has a large number of cinema halls that feature Bollywood, Marathi and Hollywood movies. 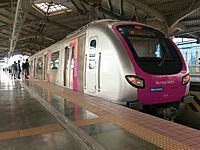 Public transport systems in Mumbai include the Mumbai Suburban Railway, Monorail, Metro, Brihanmumbai Electric Supply and Transport (BEST) buses, black-and-yellow meter taxis, auto rickshaws and ferries. Mumbai's bus services carried over 5.5 million passengers per day in 2008. 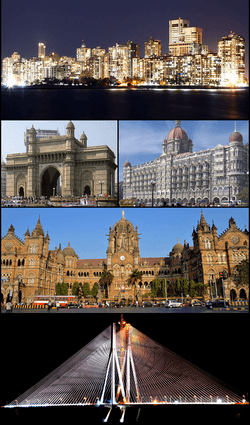 The Mumbai Darshan is a tourist bus service which explores numerous tourist attractions in Mumbai. Water transport in Mumbai consists of ferries, hovercrafts and catamarans. Mumbai is served by National Highway 3, National Highway 4, National Highway 8, National Highway 17 and National Highway 222 of India's National Highways system. The Chhatrapati Shivaji International Airport (formerly Sahar International Airport) is the main aviation hub in the city and the second busiest airport in India in terms of passenger traffic. It handled 36.6 million passengers and 694,300 tonnes of cargo during FY 2014–2015. 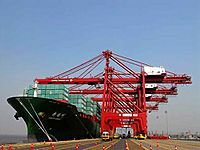 Mumbai is served by two major ports, Mumbai Port Trust and Jawaharlal Nehru Port Trust, which lies just across the creek in Navi Mumbai. Mumbai Port has one of the best natural harbours in the world, and has extensive wet and dry dock accommodation facilities. Ferries from Ferry Wharf in Mazagaon allow access to islands near the city. Mumbai Facts for Kids. Kiddle Encyclopedia.